This month we're proud to launch our new Electric Actuated PVC Ball Valve with Plastic Actuator; suitable for a range of chemical, water treatment, clean water and light industrial applications. A lightweight maintenance free plastic housed actuator that completes our impressive line-up of PVC valves, fittings and accessories. Swimming Pools - plant room, dosing chemicals and chlorinated water. Water Authorities - water treatment, plant and final stage treatment. 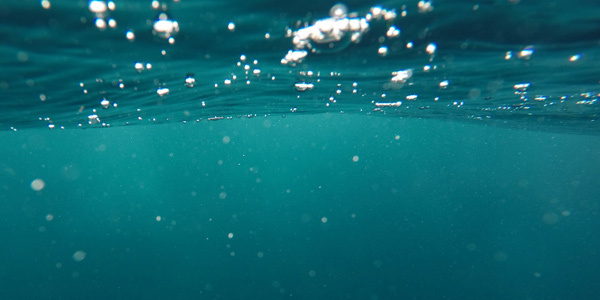 Desalination - removing salt from water for drinking, irrigation etc. Chemical - treatment of demineralised water, semi-conductor manufacture and more. Manufactured in Europe and comprising of our specially designed custom mounting bracket, true union industrial series PVC ball valve with food grade EPDM O-Rings and PTFE seat, and Burkert's Type 3003 Electric Rotary Actuator it's a hard act to beat. 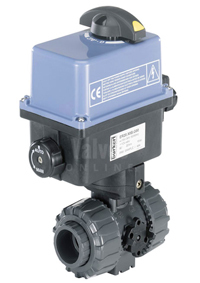 Sizes 1/2" up to 4"
If you're looking for a reliable actuated plastic valve look no further than our Electric Actuated PVC Ball Valve with Plastic Actuator. Over the last few years the team at Valves Online have been busy building an impressive range of actuated plastic pneumatic and electric valves, plastic solenoid valves, PVC fittings and accessories; available to order from our website. Talk to a member of our team to discuss your application further - call 01822 855600 or 0161 480 5700 today!